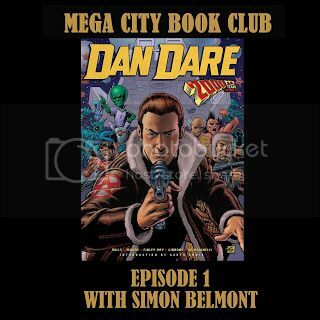 For the first show I am joined by Simon Belmont to discuss Dan Dare vol 1. I am a 2000AD enthusiast but not an expert and I'm sure there will be minor errors and oversights along the way, please feel free to correct me. 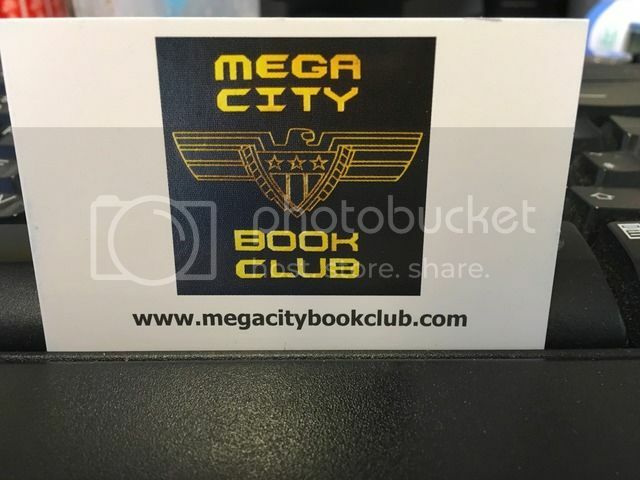 And please consider coming on the podcast as a guest, get in touch with the book you would like to talk about. Any 2000AD collection is fair game, including individual volumes of the case files, or allied titles that graced the Meg such as Scarlet Traces or Preacher to pick just two examples out of my left brain. and you probably won't be too surprised to hear that there is a linked justgiving page for Cancer Research UK. This won't be a podcast that looks for sponsorship, freebies, or asks listeners for help with the running costs. Notice how there is a necessary gap between myself and professional broadcaster Tony Richards. I believe Tony specifically requested this as he was worried my posh accent would show him up. I like the title you've chosen Eamonn, though when I first saw the post listed I thought it must be the next topic for the written story competition! I understand why you approached Pete Wells, he's such a podcast whore, he'll sound off for anyone on any subject for the promise of a Gregg's pasty. and now searchable on itunes! And the guests' fees are never discussed in public, only at the bar. Nicely done, eamonn, and a brilliant topic for the first episode! Greggs pasty and a cuddle. Like the corned beef pasty, Greggs don't sell those in Scotland. Cheers, guys. Simon and I appreciate the support for the first episode. And huge thanks to Molch-R and TMO for the tweet and the link in the Thrill mail. Pasty supplies permitting Mr Pete Wells and I will be continuing the search for America on Sunday 5th June. Listened to the first episode driving home last night and really enjoyed it. Have already subscribed on iTunes and looking forward to the next show.